This is one of the more expensive slimline models on the current market, but it is probably also one of the overall best. It comes with one of the best selections of programs and features and it provides top quality results on just about every job. In addition to that, it also offers some of the best racking options for a slimline machine. 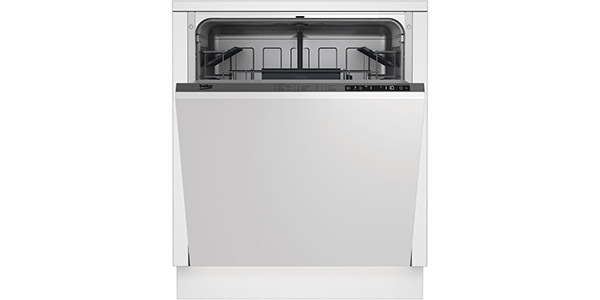 If the high price is in your budget, this machine can be a great value for consumers that are after a high quality dishwasher. 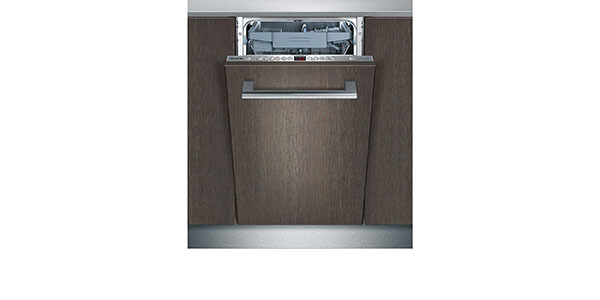 If you want a slimline dishwasher that uses some of the most advanced technology to provide good cleaning results, then the Siemens iQ500 SR66T090GB is a model that you should look into. 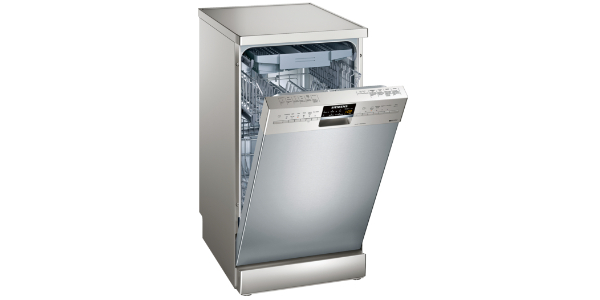 Its compact size makes it great for smaller spaces and it has some nice options for the programs and features. In addition to that, this model offers good efficiency with an estimated annual consumption value of 211 kilowatt hours per year. 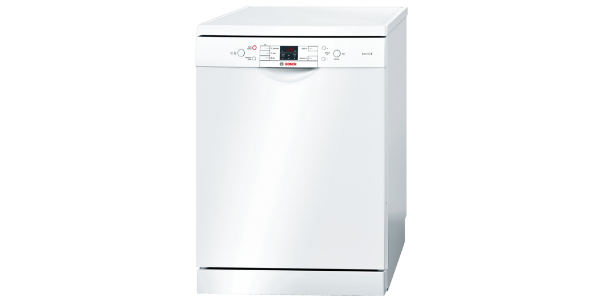 For a slimline machine, this one really stands out in regard to the interior and the racking options. When it is loaded, the machine can fit up to ten place settings and it comes with some of the best options for flexibility. The SR66T090GB has an upper basket that is height adjustable, a third level tray for cutlery and various folding trays and racks. The designers really went out of their way to maximize the interior space on this machine. 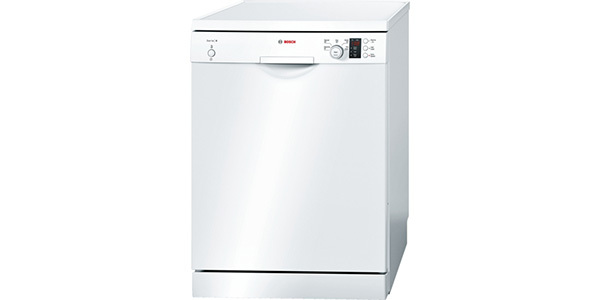 This dishwasher also does really well when it comes to the number of washing options that the user gets. 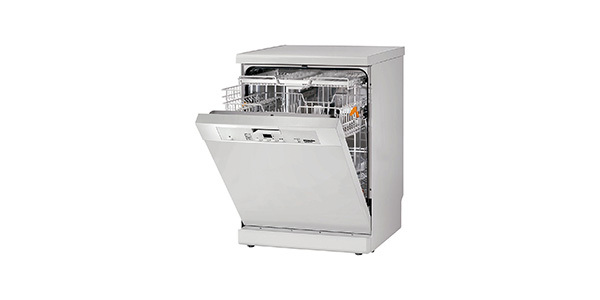 It comes with six wash programs and features like VarioSpeed, half load and hygiene plus. 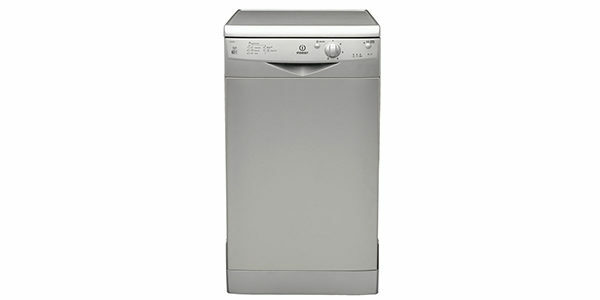 For wash programs, the user gets three auto settings, an eco wash, a quick wash and pre-rinse. For performance, this is one of the better machines out there. It delivers good results on all of the settings and the different options help to make it very versatile. You have one auto setting for most of your normal washing, then you have an auto that is designed for intensive wash and one that is designed for delicates. Beyond that, you can also add the hygienic plus feature for a disinfecting wash or the VarioSpeed to reduce the amount of time that it takes a cycle to complete. The SR66T090GB from Siemens is also very easy to operate. It comes with an electronic control panel on the top of the door and it has indicators and a display screen. You have a button for each of the programs and then you can add features by pushing the different feature specific buttons. The display can read the estimated time for the cycle and it has the indicators for things like low salt and low rinse aid. One user-friendly feature that is really nice is the timeLight. The machine projects the time remaining in the cycle and the cycle progress onto the floor when it is in operation. It is hardly a necessity, but it is a nice feature for convenience. The build quality of this machine is first rate. It has features like flood protection and a self-cleaning filter and the interior of the machine is made from stainless steel. It has quality engineering and the user should get their money’s worth when it comes to the operating life.